Please contact Hillory White at (831) 760-0293 if you have any dietary concerns. By purchasing your meal online, your reservation is automatically made and you do not need to RSVP to the Meeting Coordinator. If you are paying for more than one person, please be sure to list the names of the attendees on the checkout page in the box that says "Add Note to Seller." ​Due to planning requirements, we notify The Bowden of our final attendee count based on reservations received before 11:59 pm the Sunday before the meeting. No new reservations will be accepted after that time. Payments after this date will only be accepted for those who have already made reservations via phone or email. Please call Hillory White at (831) 760-0293 if you have any questions. 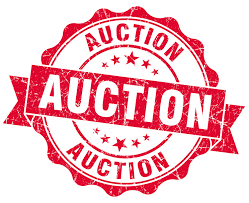 Please note that this is an event of the GKWC, an organization under IRS Section 501 c(4), and is designated as a tax free sale/auction pursuant to the Texas Administrative Code.